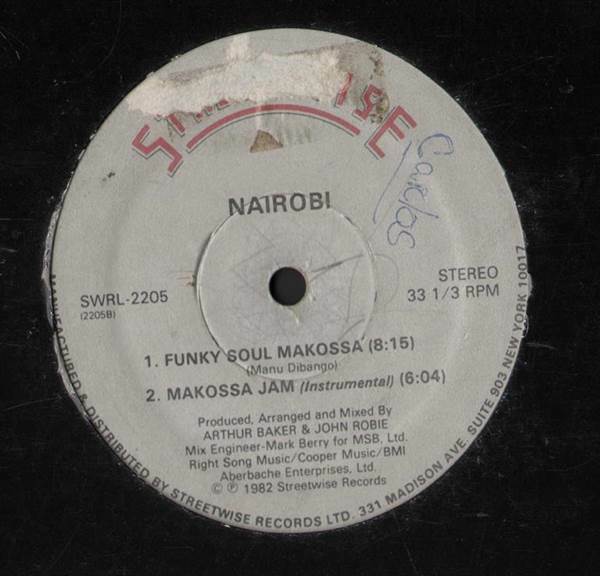 ELECTRO, Streetwise, USA, 1982... Funky Soul Makossa (Rap), Funky Soul Makossa (Free Beats), Funky Soul Makossa, Makossa Jam (Instrumental). 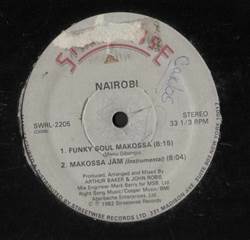 Shango - Shango Message 12" Orbit - All Shook Up 12" Quadrant Six - Body Mechanic 12" Afrika Bambaataa & Family - Funk You! 12"
Aleems - Confusion 12" Midnight Star - No Parking On The Dance Floor LP T-Drop & The Drops - Ride Em High 12" Klymaxx - The Men All Pause / Meeting In The Ladies Room 12"